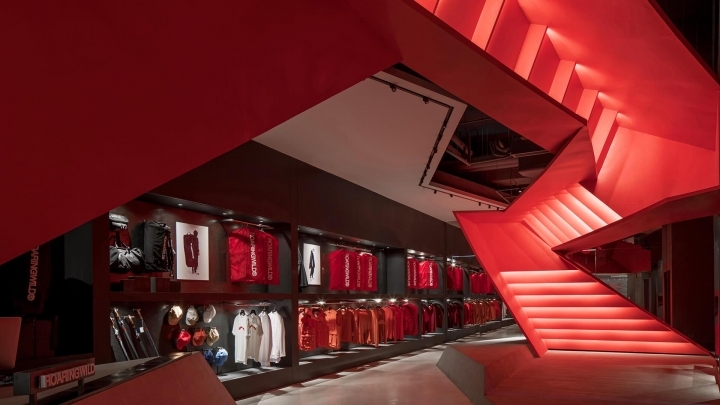 Shenzhen, China – Designed by Domani Architectural Concepts, the Roaringwild store is a distillation of the young brand in an expanding cultural centre. 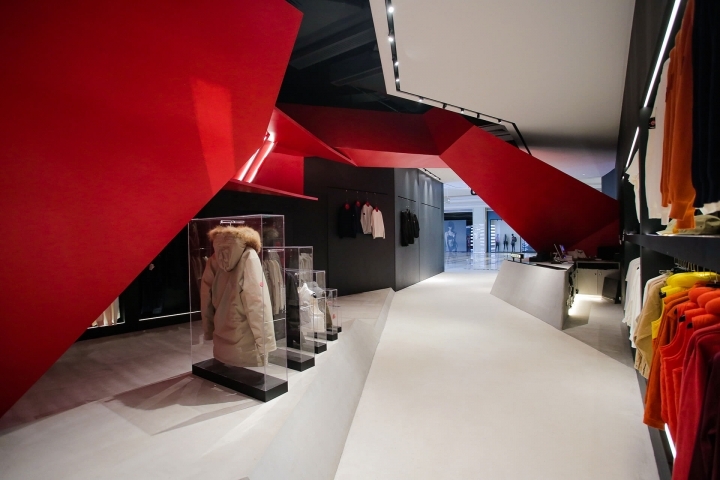 At the storefront entrance, visitors are confronted by a massive sculptural letter ‘R’ resembling a Penrose staircase. 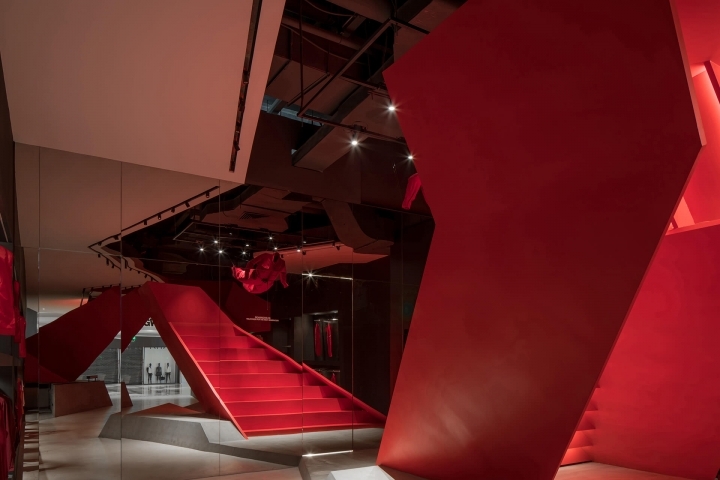 The Guangzhou-based architecture studio designed the red ‘R’ to emerge from the angular staircases only from a certain perspective: the shape becomes abstracted upon entering. 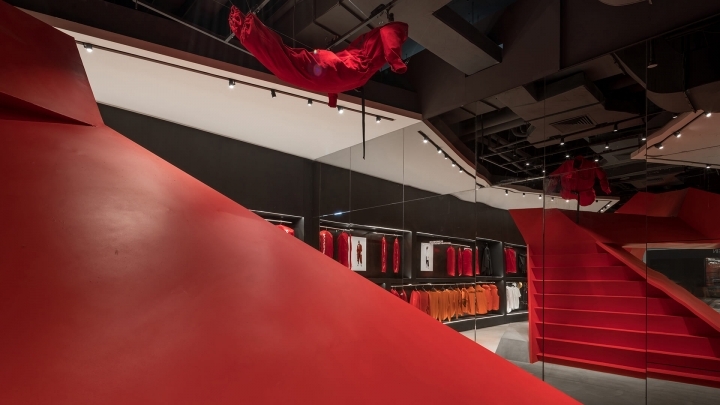 The dynamic installation fills the interior with the red passion and black tranquility of the brand. 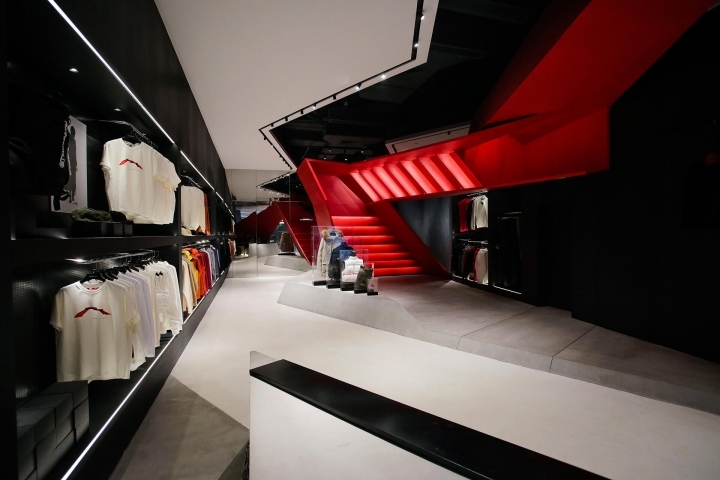 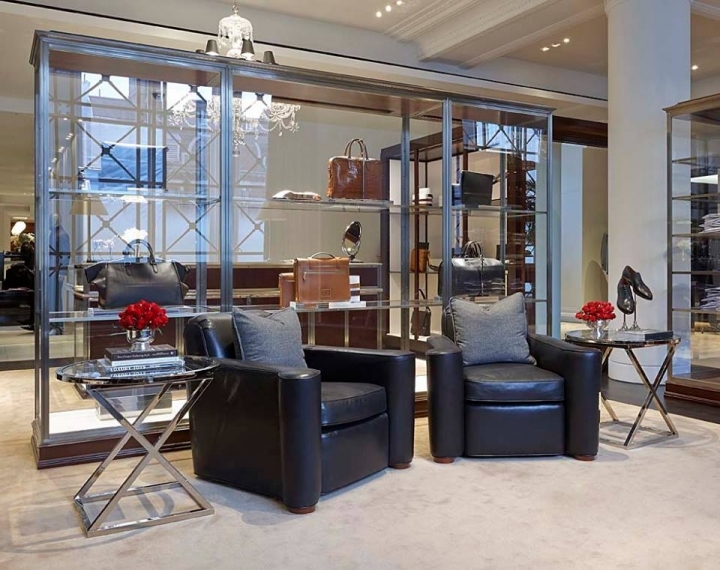 Lined with black built-in display cases and ending with a wall of mirrors, the narrow space can be expanded through projections on the black vertical surfaces, opening the store to more content beyond the retail products. 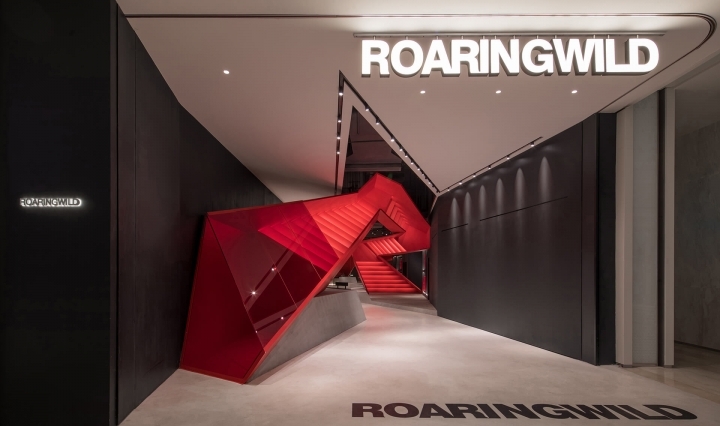 Roaringwild is part of a new wave of young brands and entrepreneurs driving Shenzhen’s explosive growth towards the city’s establishment as a social and cultural centre. 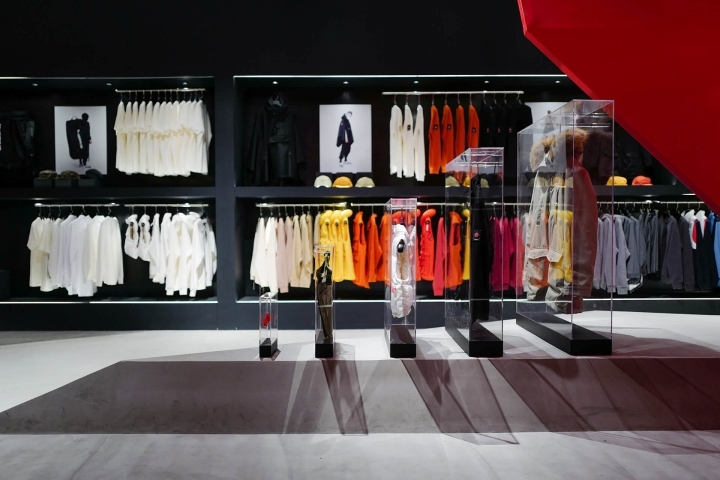 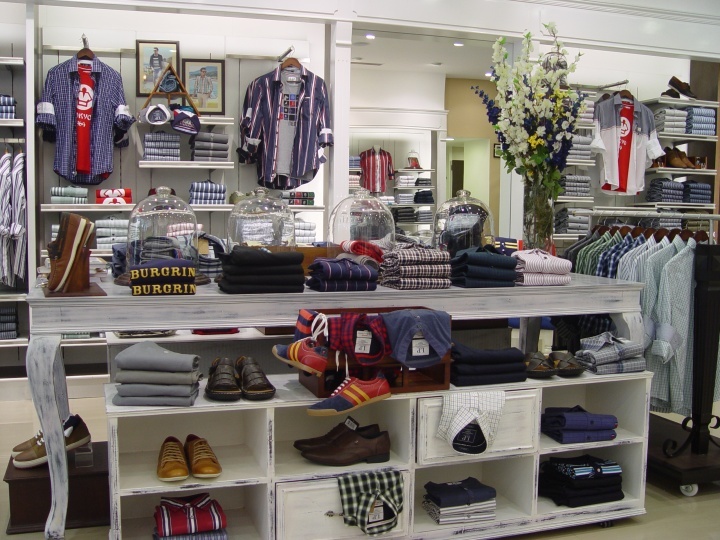 Rejecting the so-called decline of physical retail, Domani and Roaringwild embody a ‘fearless, dream-driven attitude’ – not to mention the brand identity of stubborn self-expression.